Following our round at Alwoodley Golf Club, we then visited Moortown Golf Club, which in the words of its legendary designer Dr Alister MacKenzie; "many people consider as the best of Britain's inland courses". He was never one to shy away from publicity and was not particularly known for his modesty. But given his accepted golf design genius I completely forgive him! 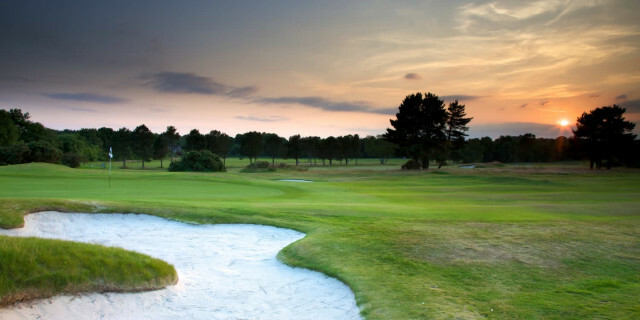 Moortown’s signature hole is known as Gibraltar is the par-3, 10th. It has a worldwide reputation and is recognised as one of MacKenzie'ss best structured holes. Consider that this ranks alongside some of the world’s best including those he designed for Cypress Point, Augusta National and Royal Melbourne in Australia. Given this pedigree it was no surprise that Moortown was selected to host the 1929 Ryder Cup. This was the first to be held on British soil. It attracted around 15,000 spectators and the majority of those attending would still recognise Moortown in its current styling. To me this is a major strength of the facility. It is modern and comfortable but actively embraces its heritage and traditions. Dr MacKenzie's design concepts are still clearly apparent with its slopes and contours similar to those of a links seaside course. It fits within 175 acres of dramatic scenery originally on the outskirts of the city centre but now deeply embedded as the city has grown and developed. 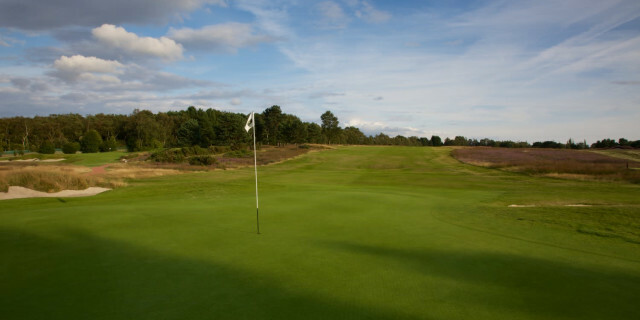 It is a traditional heathland and moorland course of 6,980 yards including some majestic, tree lined fairways. Of equal note are the natural hazards of gorse, heather and streams. This course ebbs and flows within the natural terrain. It really does feel like it is in complete synergy with the surroundings. The clubhouse entrance is just off a dual carriageway, PAST a service station. Please BEWARE. Your Sat Nav system may try and take you left in front of the service station and you will then have to travel miles around the edges of the course. In rush hour traffic this was a nightmare with an impending tee time looming. We were literally 20 yards from the entrance we wanted but ended up travelling for an extra 30 minutes. Something to take note of if you're planning a visit. Today's clubhouse stands on the same site with the same basic design as that of 1915, although it has been thoroughly modernised and extended. It really is a superb clubhouse and I would genuinely encourage you to make the time to visit and sample some of the food but also the ambience of an historic, traditional golf club. I ended up with a cricked neck as I spent so much time gazing at the various memorabilia and information regarding the good doctor. Watch out for the carpet in the dining room area where there is a plaque indicating when one of the members played a shot from literally in the middle of the room through an open window back to the at the course! More on that later. Are you would expect from a club of this calibre the professional shop is exceedingly well appointed. Martin Heggie is the resident professional and a fellow of the PGA .They have putting studio,GC2 simulator and are able to custom fit most brands of club. The opening tee shot is elevated providing a view down a sloping fairway. It is visually daunting opening hole as several fairway bunkers protect the ideal position for the drive from the tee. Out of bounds lurks left. The second shot requires accuracy to thread the wall between bunkers on either side of the fairway towards a flat but very well bunkered green. The ideal line for the initial tee shot is to aim between the two visible bunkers in the fairway. The Lone Pine Tree is just behind and to the right of the cross bunker cleverly placed to catch the drive hit on the ideal line. 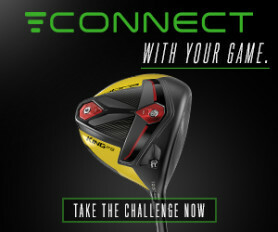 The second approach shot would ordinarily require a wood or a long iron. 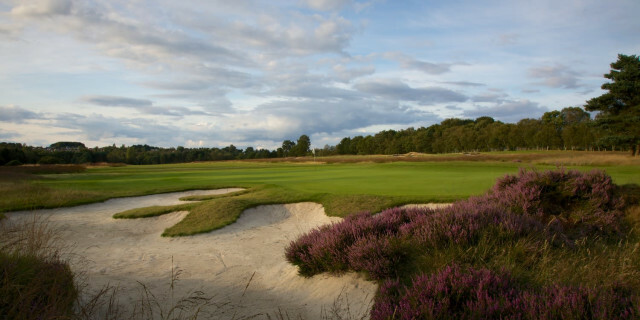 Sand and heather protect short, left and right to the green. The green then has additional protection by way of the number of swales and slopes. This is the first of the short holes. This is a picturesque and pretty part of the course. The green is surrounded on three sides by trees. 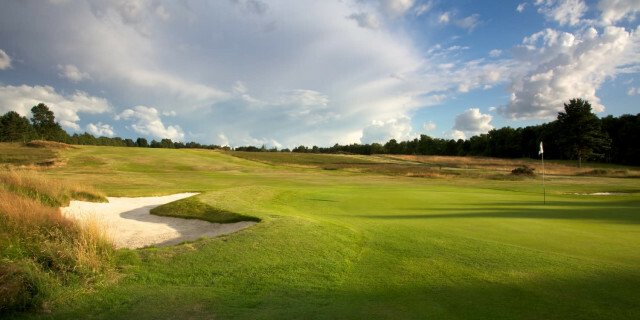 To the front and sides of the green are beautifully natural bunkers that blend into the scenery naturally but are fully visible from the tee box due to its slightly elevated position. I really enjoyed this hole. There is a wilderness of gorse, heather and bushes together with a ditch. Add in some pine trees that also have to be avoided before the fairways is reached. I played a hybrid across the corner reaching the fairway and hit a mid iron into the green for a two putt par. This hole could be played in many different ways. This is one of the new holes introduced in 1998 but adhering to the principles set by MacKenzie. The hole is primarily downhill. The fairway bunkering on this hole is strategically placed to impact from whichever tee box is in use. I hit my best drive of the day and watched as my ball heading unerringly for the bunkers placed in the cross rough. There are tremendous views from this fairway although I can imagine that this hole becomes a real beast when the wind gets up. The heather that defines this hole is superb leaving a subtle scent after venturing within it to play the ball. The turf throughout the course is excellent but in particular this area has an underfoot spring and bounce that is memorable. The entire left of this hole including behind the green is out of bounds. This closing section of holes are a real challenge. Fairway bunkers feature at usual driving length but trees also feature at the edge of the fairway to give the visual impression of a much tighter shot than actually exists. The green on this hole is devilish with slopes and hollows that I struggled to manage. The pin position dictates the strategy to approach the green. Par fours don’t have to be long to be difficult, just well designed, as in this case. This hole gained its name in 1949 when Sam King removed the footbridge piece by piece in order to play a shot from the ditch in the Yorkshire Evening News Tournament. He went onto win the event. Watch out for the plaque that signifies this as you play. From the tee a large oak tree protects the left side. This is also supported by OOB running the entire length of the hole to the left of the fairway. If you do reach the fairway a long diagonal ditch is in play. The green is very well protected by bunkers and swales. Bunkers feature on the right of the fairway from the tee box but trouble actually lurks more for the errant shot left. Gorse and heather will hamper any chance of getting home in two. I needed a wood to try and reach the green but a badly executed shot found sand to the right of the green. I was mindful of not following in the footsteps of Nigel Denholme when playing in the 1974 Brabazon Trophy. His approach shot ended up in the smoke room of the clubhouse, sitting on the carpet in the middle of the room. The clubhouse was inbounds so he entered local folklore by chipping through the open window tosix feet from the flag to rapturous applause! He missed his par putt. A metal plaque on the carpet signifies his feat. 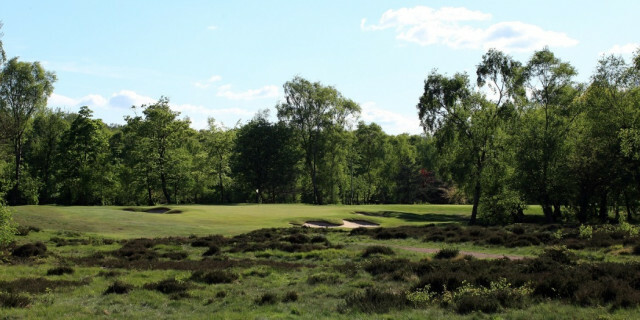 I loved the experience of playing at Moortown and would relish the opportunity to return. This facility oozes quality, heritage and tradition. It also held the first Ryder Cup match played on European soil. 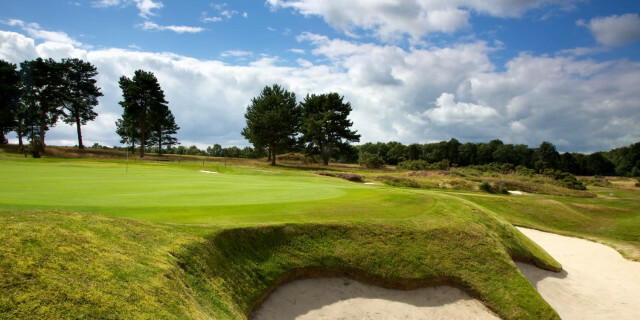 For £189, play one course on a Sunday afternoon, stay overnight at the nearby four-star Weetwood Hotel and then play the second course the following morning. The price includes breakfast and is based on two people sharing a room. To book or for more information, e mail [email protected] or call 0113 268 1680. This is likely to be a very popular offer so if you are interested get in early. A return trip has already moved to the top of my Christmas list for Santa. If you are interested in golf design and history this is a package that you should definitely consider coming here.